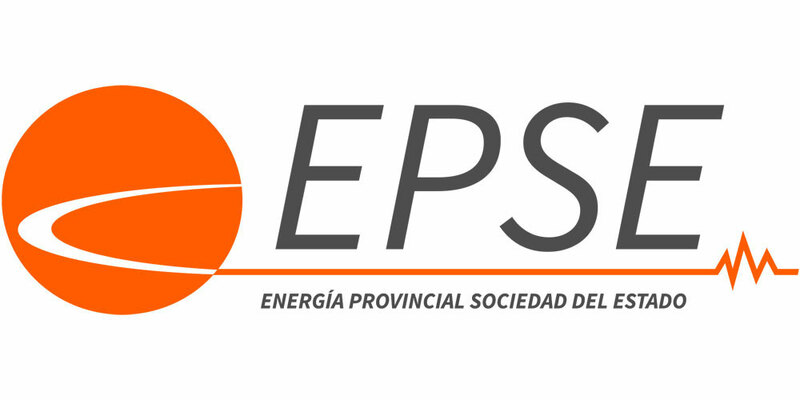 EPSE informs that on November 5th the envelope opening was carried out for the bids for PUBLIC TENDER 06/2018 for the contracting of the design, construction of civil works, electrical and mechanical installations, material provision and commissioning of the TOCOTA I 132/33 kV electrical substation and 132 kV line. The envelope opening took place at EPSE’s main office on 350 S. Agustin Gnecco. 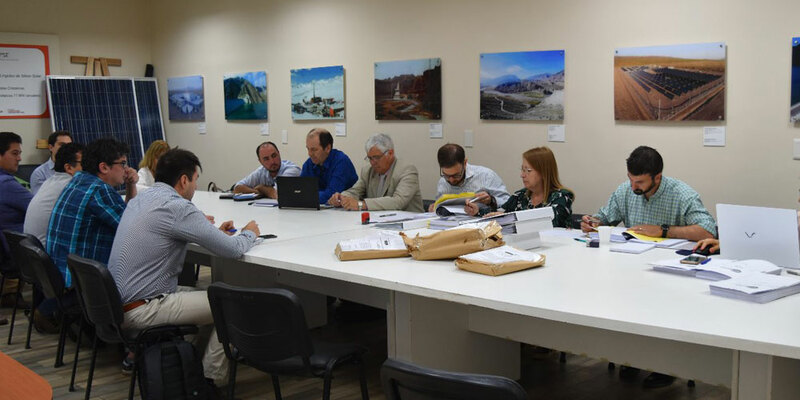 Present at the envelope opening event was the Director of EPSE, Dr. Carlos Larisson; the financial and administrative manager of EPSE, Guillermo Adrover; and the lawyer for EPSE, Patricio Echegaray; the even took place under the government notary Dr. Maria Silvia Sarmiento. Assisting also were different companies interested in the functioning of EPSE. Nine offers were received. 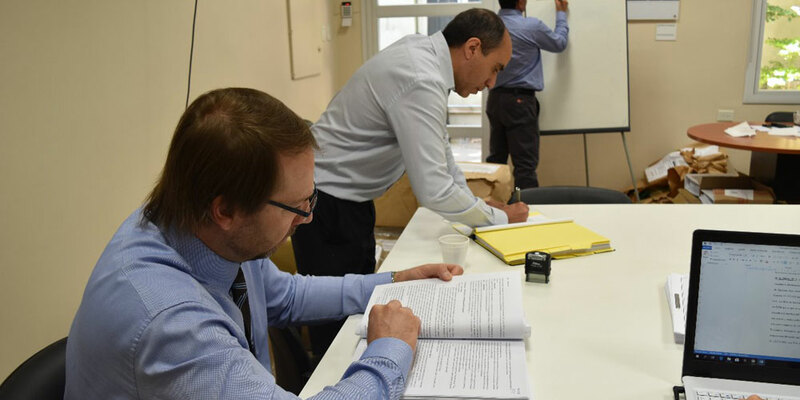 One was rejected for not complying with the security policy established in the regulations in article 20, section 3 of the PBCG, and the documentation was returned to the company. Once the envelope ceremony was complete, the documentation received was given to the Evaluation Committee designed for such an end, keeping strict confidentiality of their talks as corresponds to the act. Once this phase concludes, an announcement will be made regarding the decision. Offer 1 comes from the company ROVELLA CARRANZA S.A.
Offer 2 comes from the company PROYECCIÓN ELECTROLUZ S.R.L. Offer 3 comes from the company EDV S.A.
Offer 4 comes from the company DISTROCUYO S. A. Offer 5 comes from the company UT PROOBRA SA E ING. CÉSAR BORREGO S.R.L. Offer 7 comes from the company TEL 3 S.A.
Offer 8 comes from the company JOSÉ CARTELLONE CONSTRUCCIONES CIVILES S.A. Contracting for “Vigilance Service of the Quebrada de Ullum Hydroplant and the San Juan I PV Plant” is open in accordance to what is indicated in the General and Particular Terms and Conditions of the tender. 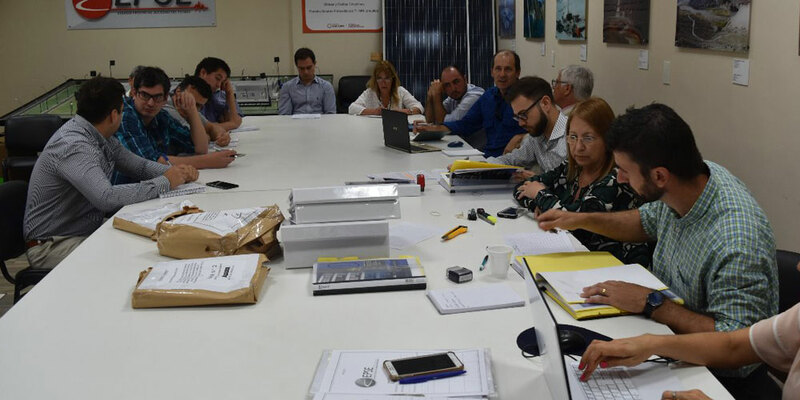 On November 5th the envelope opening was carried out for PUBLIC TENDER N. 06/2018 for the contracting of the design, construction of civil works, electrical and mechanical installations, material provision and commissioning of the TOCOTA I 132/33 kV electrical substation and 132 kV line. EPSE informs that the envelope opening for the Tambolar tender will now be on December 20th at 11 am at the governor’s mansion.